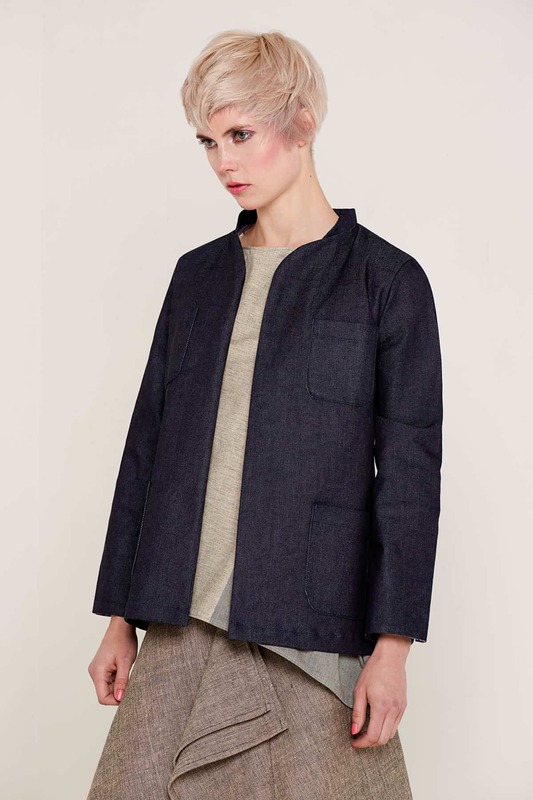 The Anne jacket is created using high-quality organic denim that is hand-made on small power looms. 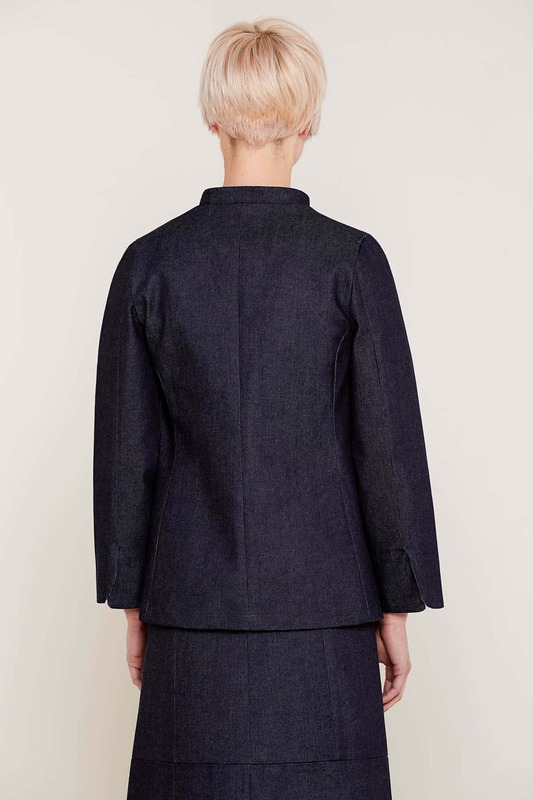 The weight and texture of the 280gsm denim gives the jacket a bold outline and a lovely, slender shape around the shoulders and through the sleeves. 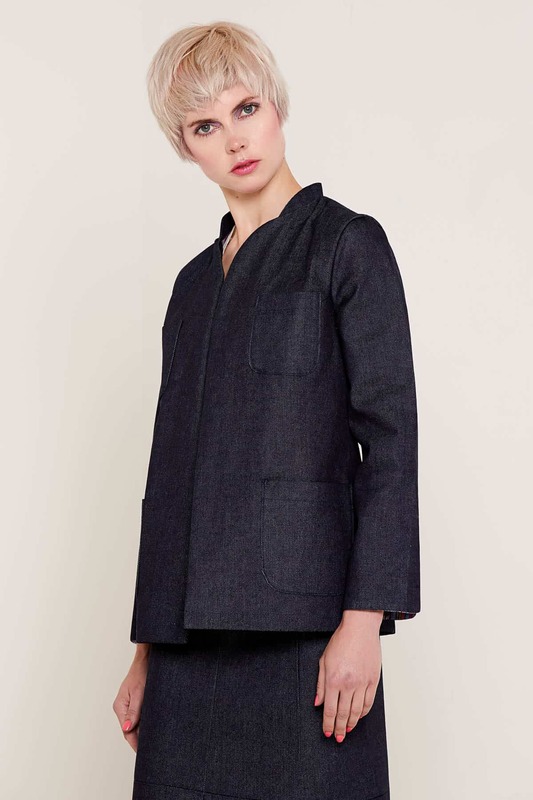 The jacket is finished with four pockets stitched into its front, adding detail to the rich, navy coloured denim. 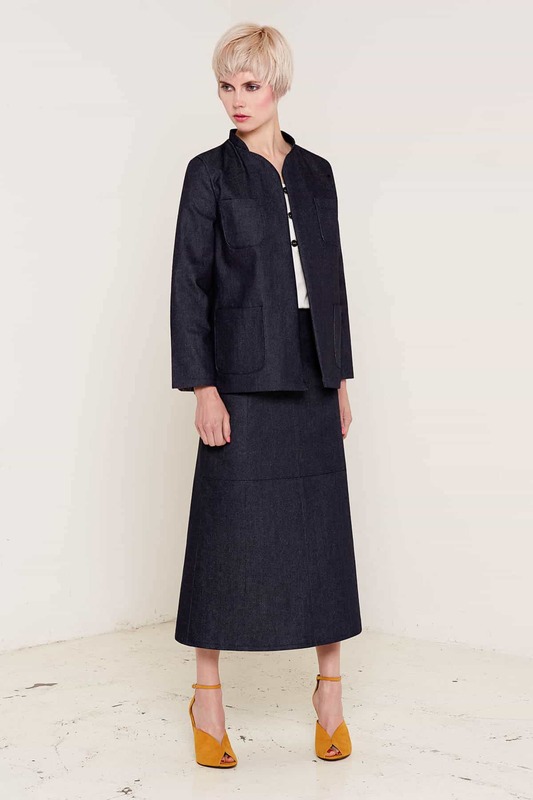 Complete the look by pairing the jacket with the matching Joan denim skirt, and layer it with asymmetric shirts and soft, floaty fabrics. We are passionate about creating clothing that is sustainable as well as stylish. This jacket is vegan friendly, and is made with certified organic denim sourced from fair trade suppliers.